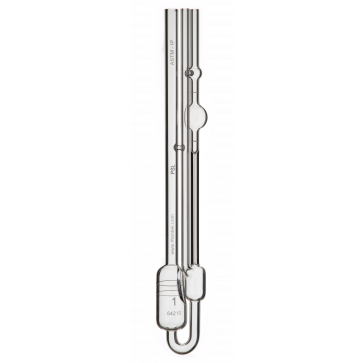 ISO 5351 Ubbelohde Viscometer type T. Suitable for use with the RPV-1 and RPV-2 Automated viscometer systems for the determination of the limiting viscosity number of pulp and cellulose. SCAN Viscometer The PSL SCAN Viscometer is manufactured in the UK to comply with dimensions and specifications as detailed in pulp testing method ISO 5351:2010. This method has superseeded the method previously known as SCAN CM:1599. In order to carry Determination of limiting viscosity number in cupriethylenediamine (CED) solution in compliance with ISO 5351:2010 a set of 2 viscometers is required.